Elan Coco Palms Apartment Homes for rent in Ocean Beach, CA is a small beach community located in one of San Diego's most relaxing places. While residing with us, you can go to the beach, of course, or shop on Newport Avenue. The year-round sunshine allows for year-round attractions. Visit the longest pier on the west coast, The Ocean Beach Pier, or enjoy the vast collection of antique stores, bars, and restaurants. This community is known for its unique neighborhoods, beautiful parks, playgrounds, and sports fields. The gated community offers spacious studios and one and two bedroom two bath floor plans with fully equipped kitchens, dishwashers, designated dining rooms, accommodating living rooms, satin nickel plated ceiling fans, mirror panel closet doors, and complimentary accent walls. The community also boasts a lush landscaping, sparkling pool, relaxing spa, BBQ, patio tables & chairs, lounge chairs, an on-site laundry facility, business center, recreation room with flat screen, hi-tech fitness center, bike storeroom, covered and assigned parking, and friendly on-site Staff with full-time emergency Maintenance to meet all your maintenance needs. Elan Coco Palms welcomes cats and dogs; please see our pet policy as some restrictions may apply. Whether you want to visit our sandy beaches, explore the walking trails, or dine at the local restaurants, your possibilities are endless. We provide easy access to the Interstate 5 and Interstate 8 for your commuting needs. For your convenience, Robb Field, Downtown San Diego, Balboa Park, Petco Park, Gaslamp Quarter, Seaport Village, and the world-famous San Diego Zoo are just minutes away. 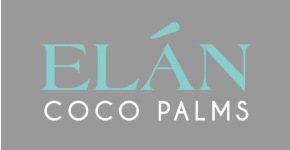 Come home to Elan CoCo Palms and enjoy easy living!